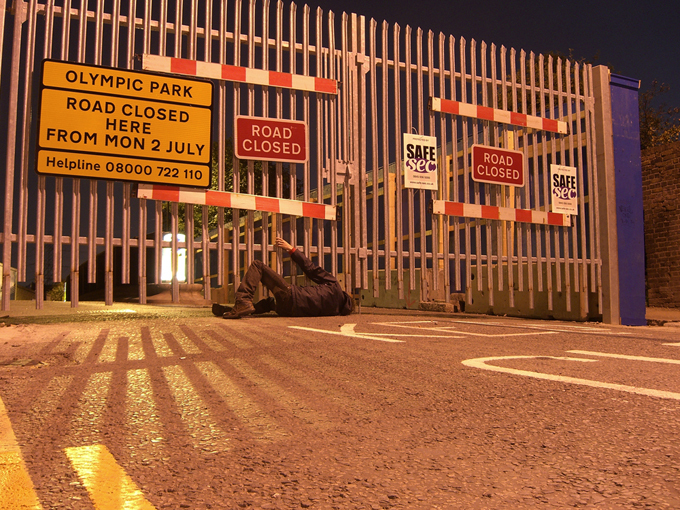 Trespassing the Olympic Site was a performative project carried out between 2006 and 2008 initiated in response to the compulsory purchase of the 500 acres that now make up the Olympic Park. I appointed myself Artist in Residence two months before access to the area was restricted by the locally infamous blue fence; my intention was simply to regularly perform the action of trespass across its length and breadth. The project questioned the reality of public ownership in a privatised world by regularly attempting to traverse this patrolled enclosure alone and on foot, treating literally the notion of it as London’s newest public park. Performances, which took place at night, unannounced, on a monthly basis throughout the two year period, were conceived not as actions to be watched but tasks to be carried out; the aim being to remain hidden from my potential audience of security guards, demolition workers and dog patrols. I documented the work in a series of staged digital stills, using the camera’s built in shutter delay and exposures of up to a minute. Initially these images were simply a means of recording my presence, but as the project wore on they became spaces to pit myself against the increasingly dehumanised landscape, chances to comment, albeit silently, on the transformations that took place between my visits. 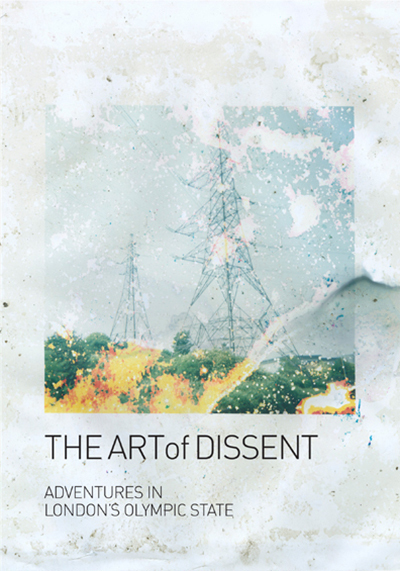 The Art of Dissent: Adventures in London's Olympic State.